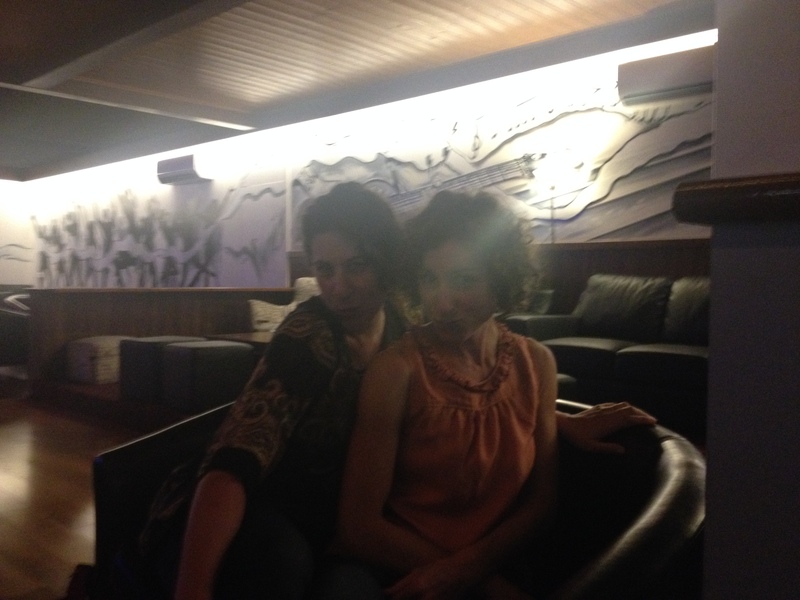 What do you do when your glamorous, Italian, non-cycling friend from interstate arrives at the airport? 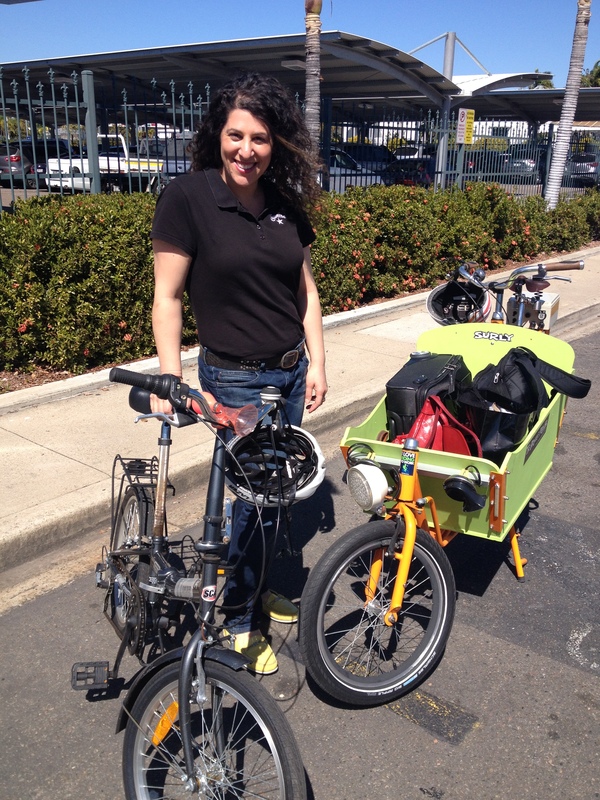 You pack the folding bike into the cargo bike and head to the airport to pick her up of course! Gabriella doesn’t own a bike, but assured me she would be fine, after all, she does three spin classes a week back in her hometown of Adelaide (one of Australia’s premier cities for cyclists and cycling infrastructure, I might add). The folding bike was the shop’s cheap loan bike so probably wasn’t the best introduction for a relative novice (sorry, I forgot about the spin classes), but, after an initial wobble, Gabriella got the hang of it and pedalled like a pro. 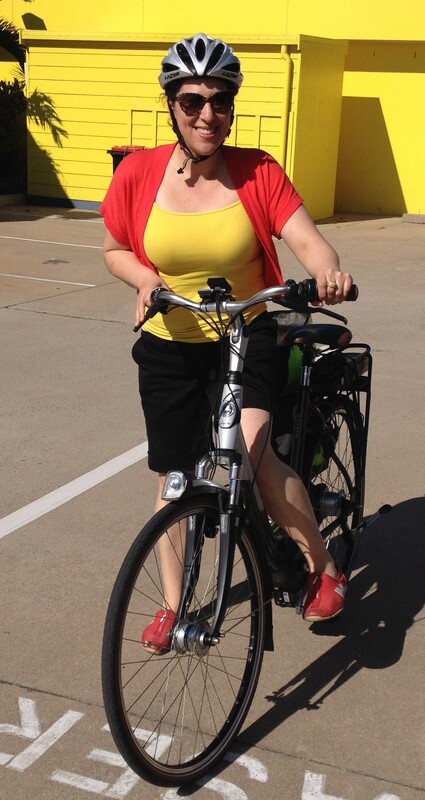 Once home we were able to introduce Gabriella to our rather more high-end bikes, the Gazelle Impulse C8 electrics. These were to be our mode of transport for the 6 days she was with us. We rode to the Strand, into the city markets on Sunday, and to the base of Castle Hill (twice), where we locked the bikes and walked to the top. We rode to the shopping centre during the day, and to The Basement Bar at night for some live jazz and wine. All these kilometres lead to an ice-cream challenge (the Pedlar – 2 litres, Gabriella – 1 litre). 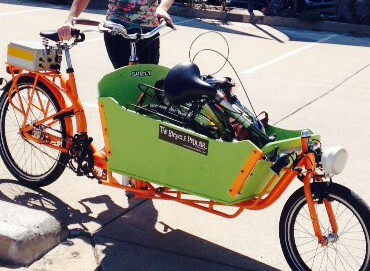 There are so many benefits when you use a bicycle for transport! For the record, both tubs of ice-cream came and went in 30 minutes. We rode every single day, sometimes making multiple trips by bike. Oh! I had a great trip down memory lane reading this blog. Thanks Jen.